Inflammation – Are you on fire? You have certainly experienced acute inflammation that occurs when an injured body part turns red, hot, and swollen. Inflammation is a natural defense against infections, irritations, toxins, and foreign molecules. It is your body’s first line of defense against infection and injury. This process normally shuts down when the injury starts to heal. However, trouble can arise when the inflammation process gets stuck “on” and doesn’t know when to stop. This can happen when your immune system is out of balance. Instead of protecting your body, chronic inflammation attacks healthy cells, blood vessels, and tissues. Chronic inflammation has been dubbed a “silent killer”. There are increasing amounts of research that suggest inflammation may be more important than cholesterol at elevating the risk of heart disease and stroke. Inflammation is also thought to increase the risk of other diseases such as cancer, auto-immune diseases (such as lupus and rheumatoid arthritis), depression, and Alzheimer’s disease. If inflammation is so important, what is it? Inflammation is quite simply your body’s natural defense to a foreign invader such as bacteria, toxins, or viruses. The inflammatory process is perfect in how it protects the body from these bacterial and viral invaders. However, if we chronically expose the body to injury by toxins or foods the human body was never designed to process, chronic inflammation will occur. Chronic inflammation is just as harmful as acute inflammation is beneficial. The goal is to prevent chronic inflammation. How do you know if your inflammation level is high? A simple blood test known as C-reactive protein (CRP) can measure your inflammation level. The CRP test gives you a number. Less than 1 is considered good (low risk) and greater than 3 is considered bad (high risk). Your goal over the long term is to have a level less than 1. What are the biggest culprits of chronic inflammation? Highly processed carbohydrates (sugar, flour, white rice and all the products made from them) and omega-6 vegetable oils like soybean, corn and safflower (which are found in many processed foods) are the biggest culprits in our diet. Several times a day, every day, these foods we consume create small injuries in your body compounding into more injuries, causing the body to respond continuously and appropriately with inflammation. Processed foods are manufactured with omega-6 oils to create a longer shelf life. While omega-6s are essential (they are part of every cell membrane controlling what goes in and out of the cell) they must be in the correct balance with omega-3s. If the balance shifts by consuming excessive omega-6s, the cell membrane produces chemicals that directly cause inflammation. Today’s mainstream American diet has produced an extreme imbalance of these two fats. The ratio of imbalance ranges from 15:1 to as high as 30:1 in favor of omega-6. In today’s food environment, a 2:1 or 3:1 ratio would be optimal and healthy. To make matters worse, the excess weight many Americans are carrying from eating these foods creates overloaded fat cells that pour out large quantities of pro-inflammatory chemicals that add to the injury caused by having high blood sugar. The process turns into a vicious cycle over time that leads to heart disease, stroke, cancer, high blood pressure, diabetes and Alzheimer’s disease. There is no escaping the fact that the more we consume prepared and processed foods, the more we trip the inflammation switch little by little each day. The human body cannot process, nor was it designed to consume, foods packed with simple carbohydrates and sugars and then soaked in omega-6 oils. There is but one answer to quieting inflammation, and that is returning to foods closer to their natural state. We need to eat more whole foods. Avoid processed foods. 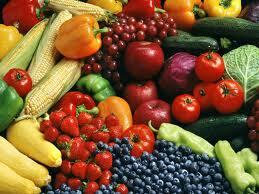 Eat a large variety of colorful fruits and vegetables which are loaded with anti-oxidants. Choose carbohydrates that are complex including beans and seeds. Complex carbohydrates are high in fiber. Cut down on or eliminate inflammation causing omega-6 fats like corn, soybean, and safflower oils and the processed foods that are made from them. Instead, use olive oil. (You need to read labels!) By eliminating inflammatory foods and adding essential nutrients from fresh unprocessed food, you will reverse years of damage in your arteries and throughout your body from consuming the standard American diet. Author drjeffgreenbergPosted on August 17, 2014 August 17, 2014 Categories Diets, Diseases, NutritionTags Alzeimer's disease, c reactive protein, carbohydrates, chronic disease, diabetes, fruits, healthy diet, inflammation, nutrition, obesity, omega 3, omega 6, sugar, unprocessed, vegetables4 Comments on Inflammation – Are you on fire? I get asked all the time for specific recommendations for losing weight. I also get asked about dietary recommendations for naturally lowering cholesterol levels or naturally lowering blood pressure levels. One great way to achieve all these goals at once is to eat 9 servings of fruits and vegetables every day. Yes, you read that right… 9 servings! Every day! This should include at least 5 servings of vegetables. Fruits and vegetables are low in calorie. This means you can eat a lot without getting many calories. In fact, you can gorge yourself and still lose weight. Have large salads with many different colored vegetables mixed in. (Avoid high calorie dressings!) You should have several servings of vegetables with each meal during the day. Eat both fruits and vegetables as snacks. Furthermore, the more fruits and vegetables you eat the less room you will have for eating other junk food. Besides being low in calories, fruits and vegetables are loaded with fiber. Fiber fills you up with no calories. It also helps lower your cholesterol naturally and keeps you regular. Fruits and vegetables are loaded with nutrients, including protein. Many green vegetables have significant amounts of protein per serving. (How do you think giraffes and gorillas get so big?) Many fruits and vegetables have large amounts of potassium, which helps to naturally lower your blood pressure. Fruits and vegetables are loaded with multiple vitamins including vitamin C, a critical vita min our bodies constantly need to replenish. 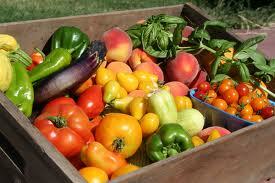 Finally, fruits and vegetables have many different kinds of phytonutrients and antioxidants. These are nature’s way of lowering your inflammation levels, fighting disease, and preventing cancer. The greater variety of colors you eat, the better. So make it a goal to eat at least 9 servings of fruits and vegetables every day. You will be amazed at how much better you feel, how much weight you can lose, and how healthy you can become, naturally. What is the number one cause of disease? What is the cure? Want to lose weight? Eat more protein. My triglycerides are high. Should I be worried and what can I do to decrease them? Having difficulty losing weight? Not sure why? Read on.